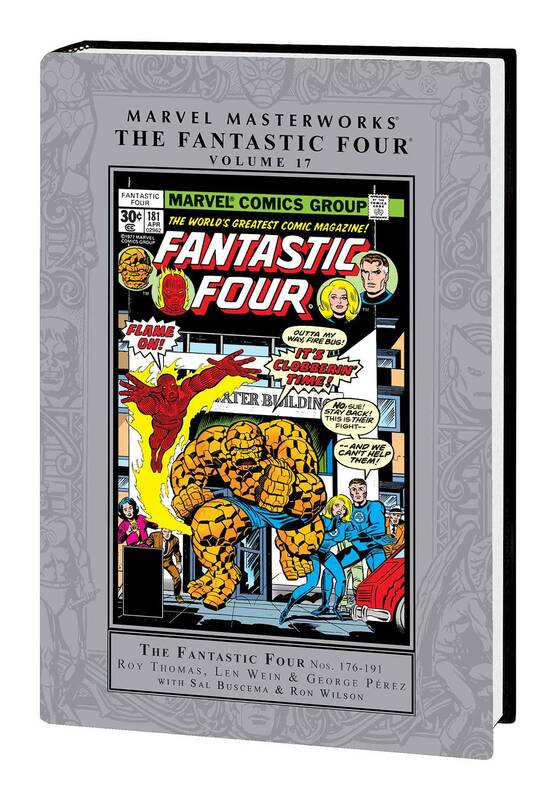 The Fantastic Four continue their explorations into the impossible - when they confront none other than the Impossible Man! From a tale that rampages through the Marvel Bullpen and features the return of the Frightful Four, Impy will both torment and team up with our heroes in an attempt to make them a Fantastic Five! Then, Reed Richards is replaced by his evil Counter-Earth counterpart. It's a saga so epic in scope that it pulls in Thundra, Tigra, the Mad Thinker and Annihilus - as Reed battles for his life in the heart of the Negative Zone! With little time to rest, our heroes must then battle through the Eliminator, Salem's Seven, Klaw and the Molecule Man in a series of struggles so shocking that they may tear apart the FF forever! Collecting FANTASTIC FOUR (1961) #176-191.